Toyota City, Japan, Feb, 07 2019 - (JCN Newswire) - TOYOTA GAZOO Racing is a racing company positioning motorsports activities as the basis of our quest to create ever-better cars. 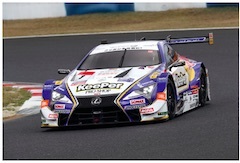 From products developed through these activities to the establishment of the GR Garage, TOYOTA GAZOO Racing's motorsports activities have been promoted as a comprehensive method of increasing numbers of car fans. At last month's North American International Auto Show in Detroit, we unveiled the new "Supra," which is set to become the first global model in the GR series line-up. The new Supra incorporates the knowledge and know-how that TOYOTA GAZOO Racing has accumulated thus far, and has been developed with the goal of enabling customers to fully experience the joy of driving. We have positioned the new Supra as our flagship model and, by feeding back knowledge gained through motorsports activities into the development of new products, we intend to further expand the GR series line-up. In 2018, TOYOTA GAZOO Racing achieved the long-desired goal of winning the 24 Hours of Le Mans and also secured the WRC manufacturers' title, demonstrating that the challenges we have embarked on are leading to concrete results. However, we will not rest on our laurels. In order to deliver the anticipation and excitement of driving to a wider audience, we will engage in the motorsports activities listed below in 2019. TOYOTA GAZOO Racing will compete in the 2019-2020 WEC season. (The driver line-up will be announced at a later date. )With team line-ups, we will also compete in the Nurburgring 24 Hours Endurance Race and other races in Japan respectively. In addition, we will focus on "e-Motor Sports" in collaboration with Gran Turismo SPORT and other racing games. We are engaging in such various motorsports activities to e-Motor Sports. 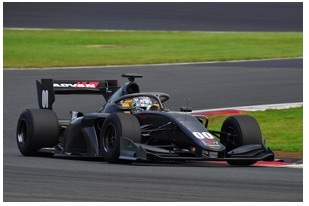 Going forward, TOYOTA GAZOO Racing will continue to work together with affiliates to create ever-better cars through motorsports activities. At the same time, through our products and sales outlet, we aim to satisfy the passion of car lovers, and bring the joy of cars to an even wider audience. We look forward to your continued support in the 2019 season.